पेंग्विन्स ऑफ मॅडगास्कर. Creative name, right? XD This is something I पोस्टेड on DeviantART the other day, and thought आप guys would like to see it. I've improved a bunch!. 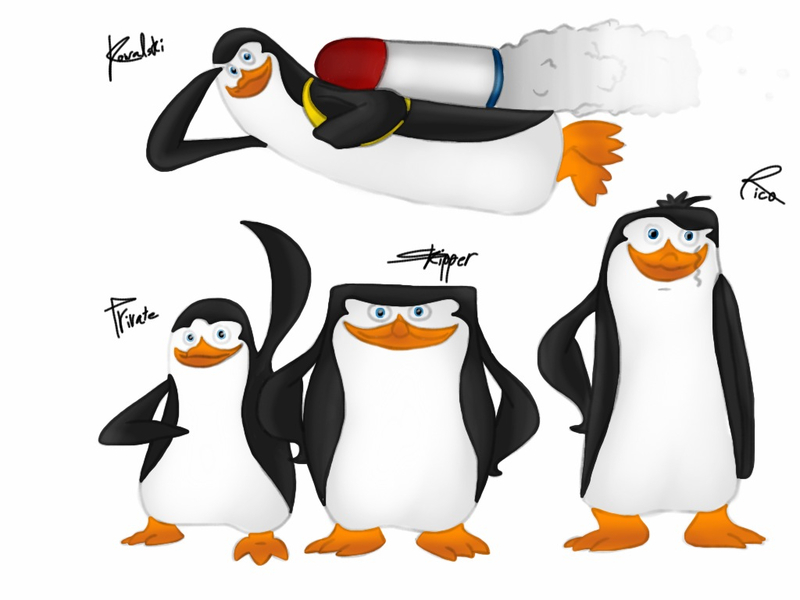 HD Wallpaper and background images in the पेंग्विन्स ऑफ मॅडगास्कर club tagged: penguins madagascar skipper kowalski rico private. Wow! You're really good at drawing! I love it! Kudos KowalSkip9! Nice! Kowalski and Rico look amazing!